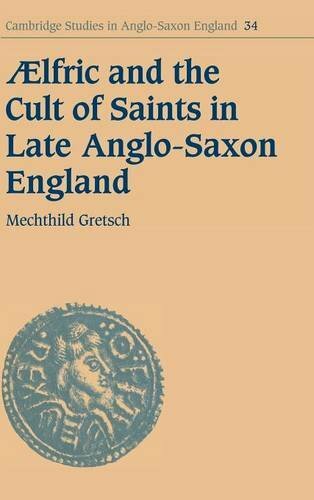 The literature of Anglo-Saxon England is unique among contemporary European literatures in that it features a vast amount of saints' lives in the vernacular. This study analyzes the most important author Aelfric's lives of five important saints in the light of their cults in Anglo-Saxon England, providing the reader fascinating glimpses of 'Aelfric at work'. He adapts the cults and rewrites the received Latin hagiography so that each of their lives conveys a distinct message to the contemporary political elite as well as to a lay audience at large. If you have any questions about this product by Mechthild Gretsch Simon Keynes Andy Orchard, contact us by completing and submitting the form below. If you are looking for a specif part number, please include it with your message.